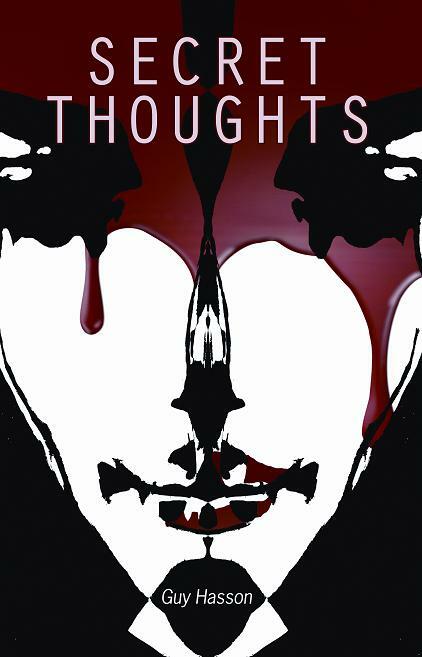 My new book, ‘Secret Thoughts’, is now ready for pre-order by Apex Books. Secret Thoughts is a startling examination of sexuality, motherhood, and society told in three novellas by Geffen Award-winning author Guy Hasson. In “The Perfect Girl”, Alexandra Watson is a newcomer to Indianapolis Academy of Psionic Studies. By touch alone, she can delve into your memories, desires, insecurities… everything that makes a person. When she bonds with Professor Parks, her world grows complicated. Soon, she’s reading the residual memories of a recently dead and tracking down the mystery of her demise. “The Linguist” continues the story of psionic-enabled women, except now the author has moved us several years in the future. The US government has determined that people like Rachel Akerman are a threat to the nation and orders countrywide extermination of those with psionic powers. When a G-man uncovers Rachel and offers her a chance to help her country in exchange for her life, what choice is she left with? Rachel finds herself attempting to communicate with a frightened and imprisoned alien life form for the military. Finally, in “Most Beautiful Intimacy”, Guy Hasson posits “What if a woman were psychically attached to an embryo growing within her uterus?” Set years after the previous novella, Susan DiOrio and her husband hide in a remote region of Montana. Cut off from the world, all they have is each other, and that is threatened when Susan becomes pregnant. A psionic has never successfully given birth to a child. Poignant and urgent, Hasson effectively explores the fear and wide-eyed amazement associated with having a baby. These three novellas will open your eyes, raise uncomfortable questions, and make you fall in love with the protagonists three times over. This entry was posted on February 20, 2011 at 3:15 PM and is filed under books, English. You can follow any responses to this entry through the RSS 2.0 feed. You can leave a response, or trackback from your own site.